Alice L. Dodgson was the first human sent to explore Sagittarius A*, the supermassive black hole at the center of the Milky Way galaxy. She was chosen because she was a brilliant mathematician, had dark hair, and ranked highest in her class in ability to freefall. She started outside the event horizon of the black hole. As Alice looked at it from her ship, Snowdrop 1, she saw a circle of perfect darkness. Her sister was measuring its diameter by reading the ship’s manual. Around the black hole were the familiar constellations of Earth’s night sky. But they were oddly distorted; the stars’ light bent into mad patterns by the black hole’s gravity. As Alice fell deeper into the black hole, it became curvier, becoming infinitely curved at its center. Her feet felt the strong pull of tidal forces as she accelerated toward the event horizon. Her body contorted like a flamingo and her feet appeared as if viewed from the wrong end of a telescope. “Goodbye, feet,” Alice said, because they were so far off. The closer she got to the horizon, the more slowly she fell. The event horizon blazed with energy. Quantum effects at the edge created Hawking radiation, streams of hot particles that radiated back out into the universe. Given enough time, the black hole would radiate away its mass and vanish, leaving behind only its smile. From her sister’s point of view, Alice was slowly obliterated by the stretching of space, and the fires of Hawking radiation. Before she even crossed over into the black hole’s darkness, she’d be reduced to ash. The instant she entered the black hole, reality would split in two. Her sister would see her be instantly incinerated. But for now, Alice plunged on into the black hole utterly unharmed. She didn’t feel like she was dead. You can’t shout to her, thought her sister, as there’s no air in space, but she could try flashing Alice a Morse message with the light on her commlink. But her words would reach Alice ever more slowly, the light waves stretched to increasingly lower and redder frequencies. Her sister was redqueenshifted. When she reached the event horizon, Alice froze, like someone had hit a pause button. She remained suspended there, motionless, stretched across the surface of the horizon as a growing heat engulfed her. 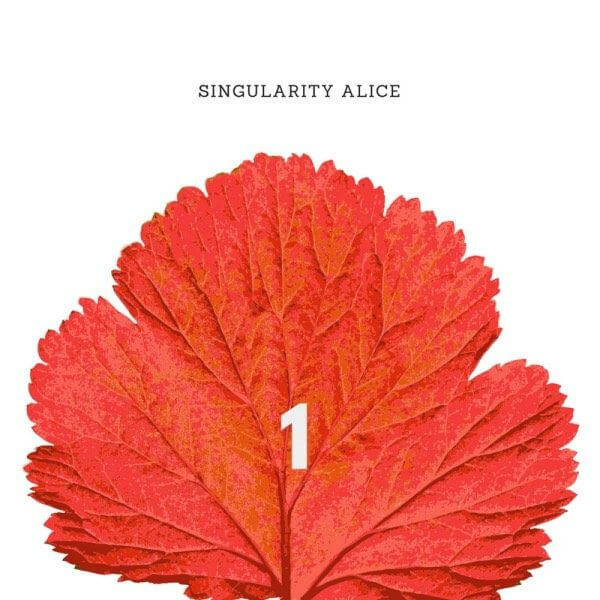 Alice became a singularity point spinning through a wormhole that bloomed into a squealing baby pig universe that spat out a white rabbit with a stopped clock for a head that fell toward her. “C & C,” thought Alice D.
It was not dull here in hyperspace –there were neutrinos, peculiar particles, pictures and conversations. Her atoms streamed out, reconfigured into the water under a rowboat drifting on the Thames in 1862. Lorraine Schein is a New York poet and writer. Her work has appeared in New Letters, Hotel Amerika, Enchanted Conversation, Strange Horizons, Nonbinary Review, and Gargoyle and in the anthologies Gigantic Worlds, Phantom Drift, and Aphrodite Terra. Her story “Sleeping Westward,” in the anthology Visions VII: Universe (Rogue Star Press), was nominated for the 2017 Canopus Award for Interstellar Fiction. The Futurist’s Mistress, her poetry book, is available from mayapplepress.com.